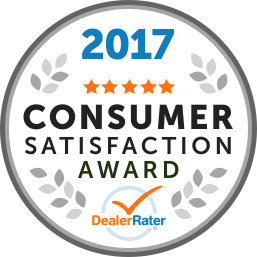 112 Reviews of Edson Chrysler Dodge Jeep Ltd.
"Don't buy here if you want peace of mind"
I purchased a ram 1500 here in September 2014. The transmission went on it after less than 3 months. Since it was replaced I have had other problems with the vehicle including cruise control not working intermittently and the command Start not working as well. The manager refused to trade my truck in for an equal one stating that I drove the truck off the lot so therefore I would have negative equity. If you want a dealership that stands behind their product then don't go here. Would not recommend this dealer to anyone. "if you are wanting to fair deal, you may wants to find..."
if you are wanting to fair deal, you may wants to find other dealer. On first visit of this dealer shop, they did not have a vehicle that I was looking for. I wanted to quotation but they did not even wanted to give me an quotation. and insisted that it will be $200 bi-weekly for the base model 4x4 cherokee (MRSP. 27xxx) saying that my trade in is not worth and there is minus from the trade in. So, I left, I understand that it is their bussiness. but I was not happy as they would not even give me proper quotation. Next day, I got a phone call from Chrysler asking my experience at dealer shop, I told them that I was not able to get a quotation of vehicle that I want so I was not even able to discuss with my wife. they followed up. And I got a phone call from the sales person asking me to come back to Edson Chrysler at 3:00PM or 4:15 PM (they knew that I am working full time and there would be no time to prep my care and they asked me to bring my family(the road was snowy) as they will work with me to find a proper vehicle for me. Chrysler put up this special AD 138 bi weekly for 96 month. (I thought it was 4x4 as the AD mentioned 4X4 capability. the dealer said no. I reviewed all fine print but there is no mention of it is FWD. even if it was FWD, 4X4 still cost MRSP 25695 +1965(fright) +100(tire tex)=27760 + 1388(GST)=29148 the bi weekly payment should be 140.14 before 3.25% promotional interest at this point) the cost of borrowing would be about 4000(not exact) and it will add about 19 dollars bi weekly. Before I visit this dealer, I did research of my vehicle value and presented price according to Canadian Black Book trade in value(I did not have any accident, the car was paint protected, under protected, interior protected, there were no mechanical issues beside the car is still under full warranty and all the maintenance was up to date). they insisted that according to their dealer shop "value book" the car was worth half(6000) of the Canadian Black Book Appraised (9800-11900), and they insisted that it is Canadian Black Book (Later, I faxed the print out Canadian Black Book for their reference), And came back with quotation with $198 bi weekly. Before he went to see the General Manager he asked me how much I think my car worth, and I said, I only want fair deal and I would accept their appraise with in Canadian Black Book Value. basically, they wanted 8000 dollars minus down payment for this deal. I realized that It was set up to say to Chrysler that they did what they supposed to do. As they present the "insane" number (6000), of course I was not happy. plus, the general manager set in front of me and said " it seems like you are trying to educate people here. Now, let me educate you", I said "I am not trying to educate people here, I only want a fair deal." The funny thing is as he present the number 6000 knowing that I am going to be upset, he started recording. ??? I felt so insulted, it was clearly set up. To have this set up session, he asked me to come to the dealer during my working hour or right after the working hour, the general manager was ready to educate an "educated customer" and most of all they asked my family to come together on the slippery winter road. if you want this kind experience. your opportunity is right at the Edson Chrysler. 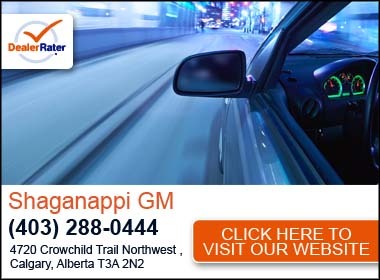 Map and Directions to Edson Chrysler Dodge Jeep Ltd.